Grow with Kellogg Company! Since the 1930’s we have been looking for ways to brighten your family’s future. Our products are centered on better-for-you ingredients that encourage a healthier tomorrow. Nourish your family with our premium brands such as Special K®, Eggo®, MorningStar Farms®, Pringles®, and many more. Don’t forget to sign up for Kellogg Family Rewards to save on even more great products such as fuel and gift cards! Visit your commissary and exchange store today for great deals on Kellogg Brands. 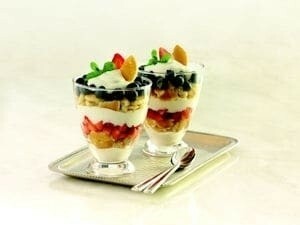 A great way to start the morning—mini pancakes layered with juicy red strawberries, fresh blueberries and yogurt in fresh-tasting parfaits. 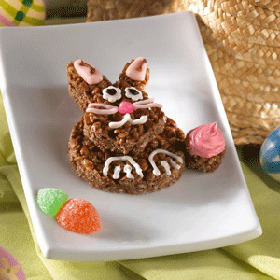 Make these googly-eyed bunnies, complete with marshmallow cottontails for everyone's Easter baskets! 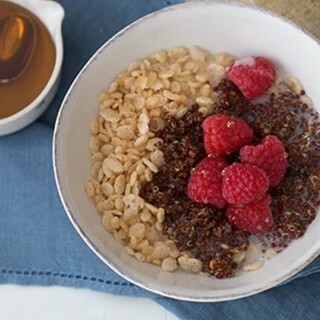 Warm up the cold mornings with Kellogg’s® Rice Krispies®, combined with quinoa, rice milk, agave nectar, fresh raspberries and ground cinnamon. SAVE On Your Favorite Kellogg's Brands! Find Great Deals At Your Local Commissary! 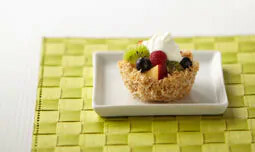 Click for all of our current Kellogg's coupons! Discover Ah!Mazing In Every Bite!